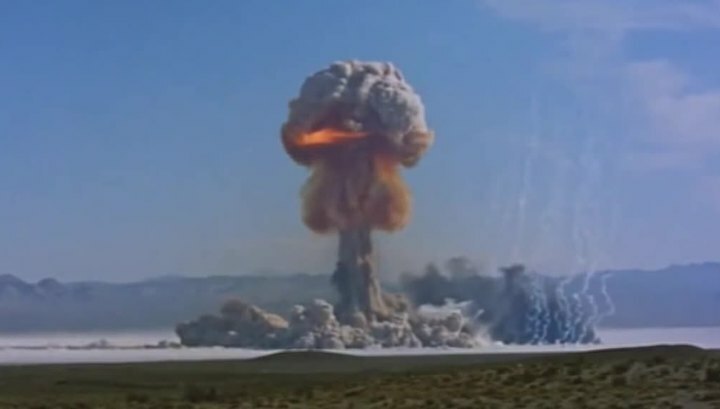 In the US, physicists at the Livermore National Laboratory declassified dozens of videos that were made during nuclear weapons tests in the mid-twentieth century. From 1945 to 1962, the United States of America conducted a total of 210 tests of nuclear weapons in the atmosphere. All of them were recorded on tape with several cameras. Ten thousand films were in secret storage for 50 years. And only now the US government has given permission to publish these materials. For five years, experts at the Livermore National Laboratory have been working on restoring and scanning films. Scientists believe that these terrible shots will help to save humanity from error. “All these films are linked by the fact that they contain a lot of quality scientific data, data that can never be reproduced, it’s a destructive weapon, and I hope that it will never be used in war, but its reserves are more than 70 years old are an effective deterrent, I hope that this project will help to preserve this effect, “said LNL nuclear physicist, head of the conservation group, Gregg Spriggs. Tests of nuclear weapons in the atmosphere were treated as the least dangerous. Now it is clear that this is not the case. As a result, the concentration of radioactive substances in the atmosphere reached a peak level in 1965. Although, in 1962, the tests were discontinued. But, those changes that have already occurred are practically irreversible. 23 nuclear explosions. Inhabitants of the atoll were evacuated in advance to one of the uninhabited islands with a supply of food. And after the tests they were returned to the spent landfill. After a few hours they showed symptoms of radiation sickness. And only a week later the Americans decided to provide medical assistance to the victims. In total, during the period of US nuclear tests, 840 Pacific Islanders died of cancer. Studies were also conducted on a voluntary basis. Of course, the deadly danger of the experimental was not warned. Effective defense systems for a nuclear attack have not yet been developed. Only autonomous underground bunkers. You can spend a maximum of a few years there. The half-life of carbon-14 is 5370 years. And if the Third World War comes – there will be no winners in it. A series of videos were posted on the official YouTube account.